Official San Joaquin Valley-Sierra Vistor's Guide, page 16, 1937. 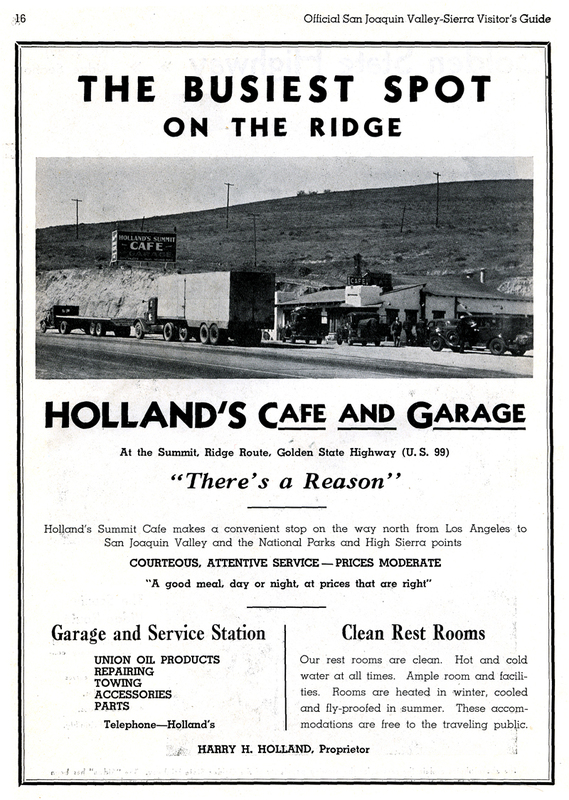 Ad for Holland's Summit Cafe on the Ridge Route Alternate, U.S. Highway 99, 1940s. "A good meal, day or night, at prices that are right"
Our rest rooms are clean. Hot and cold water at all times. Ample room and facili­ties. Rooms are heated in winter, cooled and fly-proofed in summer. These accom­modations are free to the traveling public.